Terry O'Quinn, the star of The Stepfather, was offered a cameo role in this film but he turned it down. Continuity: Whenever David went down for lemonade and was talking to Kelly, the sweat stain on his shirt disappears. 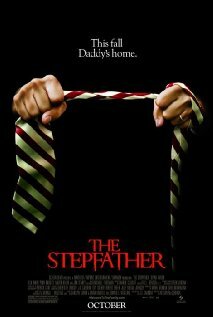 "The Stepfather" is a remake of the 1987 cult classic by the same name staring Terry O'Quinn. 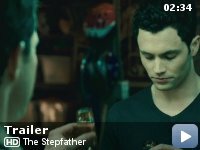 The story begins with Michael Harding (Penn Badgley) returning home from military school to find his mother (Sela Ward) happily in love and living with her new boyfriend, David (Dylan Walsh). As the two men get to know each other, Michael becomes more and more suspicious of the man who is always there with a helpful hand. Is he really who he says he is or could David be hiding a dark side ? Along with his girlfriend Kelly (Amber Heard), his father Jay (Jon Tenney), and Susan's friends (Paige Turco and Sherry Stringfield), they slowly start to piece together the mystery of the man who is set to become his stepfather, but they may be too late in getting to the truth... In the last decade we've witnessed a lot of remakes and spin offs, most of them unnecessary, and that's the case with this film. And the reason why it is unnecessary, is because it doesn't add anything to the original besides a groovy soundtrack. The film doesn't really have a voice of its own, instead it's almost a play by play remake with a few differences to make it up to date. Despite being unnecessary, this remake is still quite enjoyable, however, it doesn't have the subtlety of the original and also Terry O'Quinn was much better as a protagonist then Dylan Walsh. O'Quinn had more charisma and delivered his lines with much more impact. And then there's a few things that drag the film down, like the sexualization of Amber Heard ( numerous shots of the young actress in her bikini and underwear, which I wouldn't mind, had it been done more tastefully instead of being a deliberate attempt to please the male audience), plus the poorly done makeovers of David and the lesbian subplot which made absolute no sense to me and seemed out of place. Despite all this, The Stepfather is still a nice little thriller and quite enjoyable, just know that the original is far better.